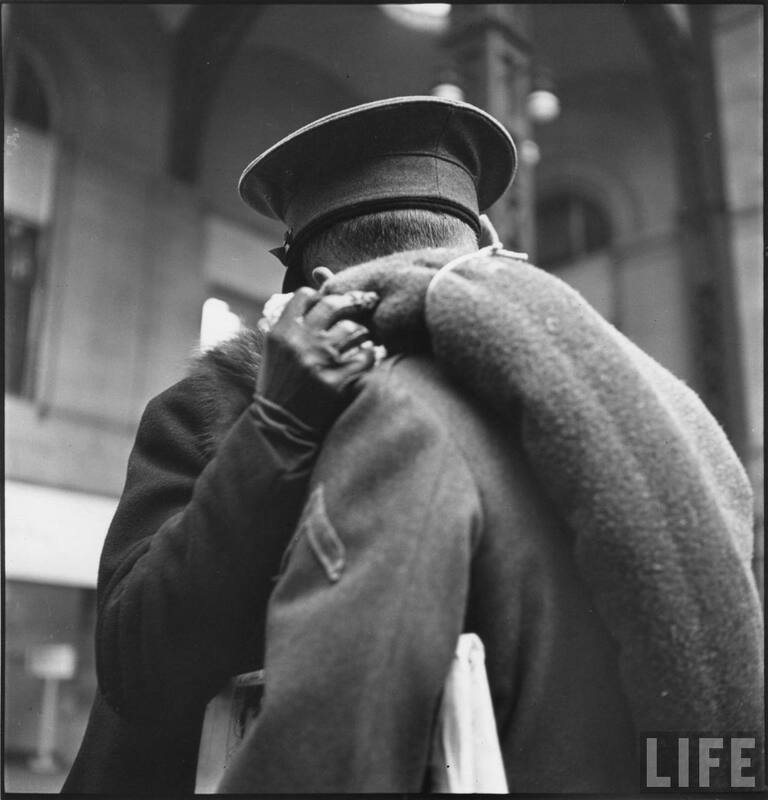 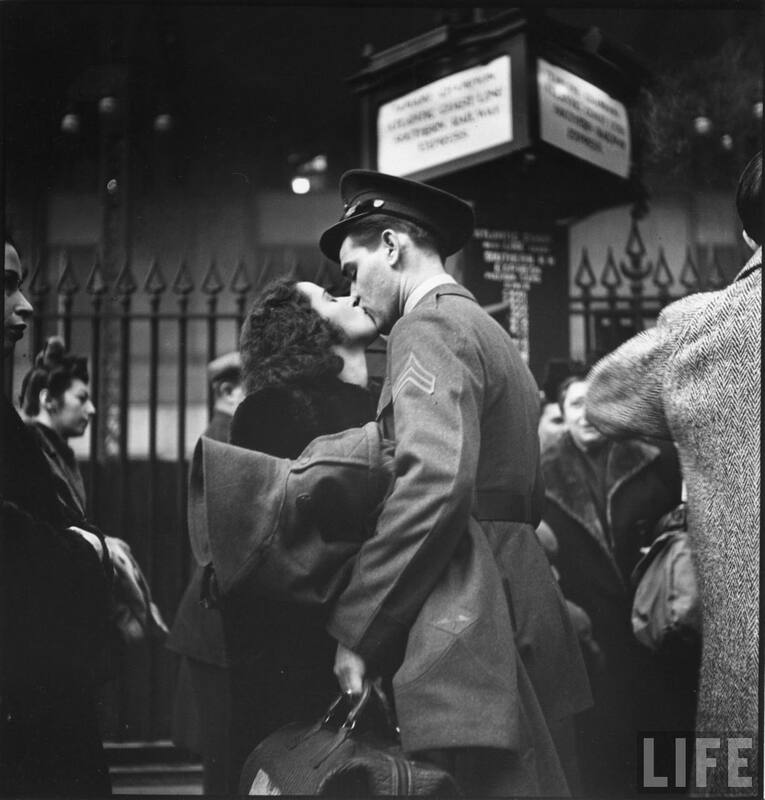 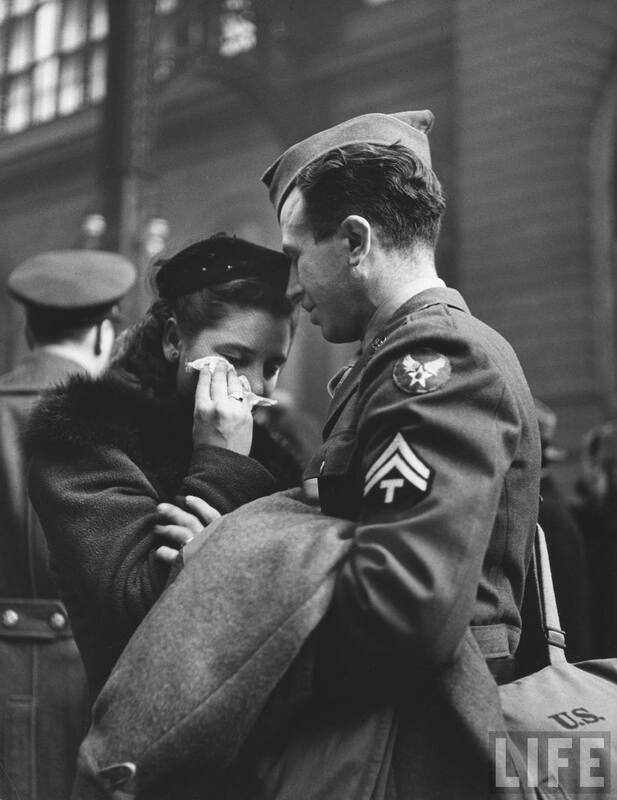 Searching the LIFE Archives with Memorial Day at the front of my mind, I discovered these poignant images taken by LIFE photographer Alfred Eisenstaedt. 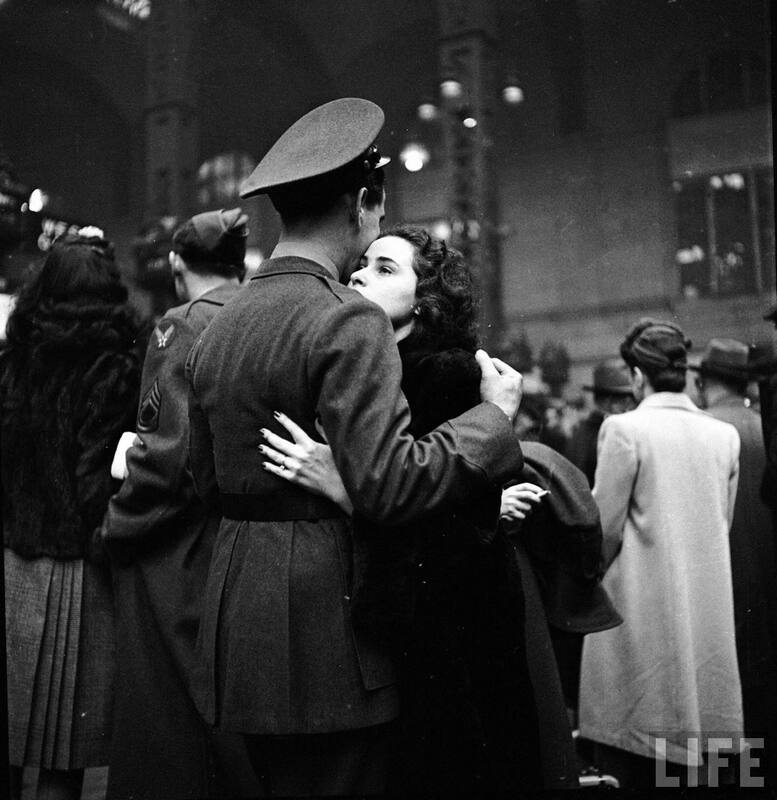 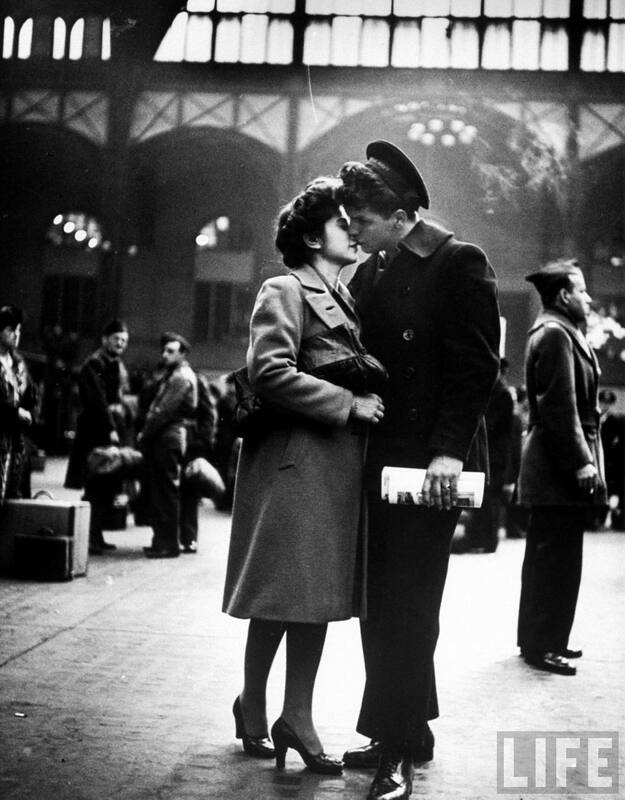 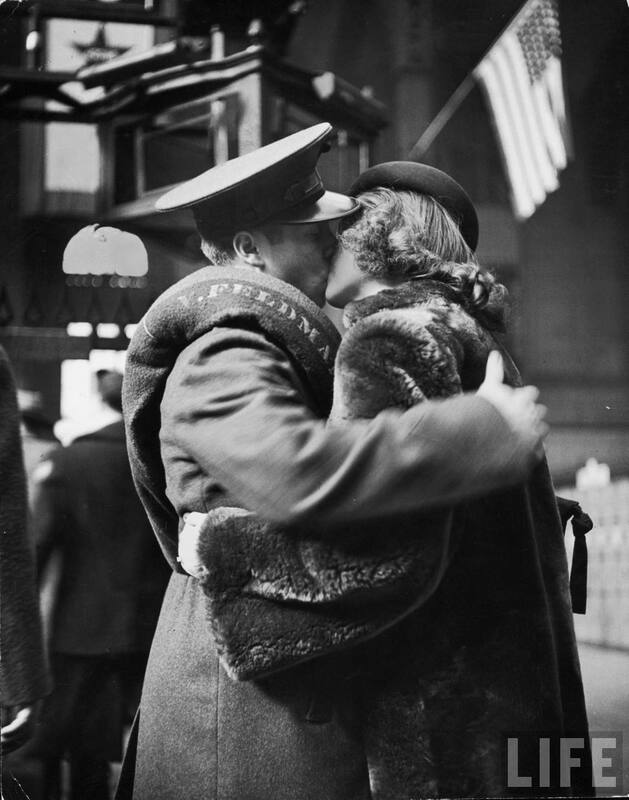 Taken in 1943 and 1944 at the original Penn Station, these photographs capture servicemen saying goodbye to their wives, girlfriends and lady friends prior to shipping off for WWII. 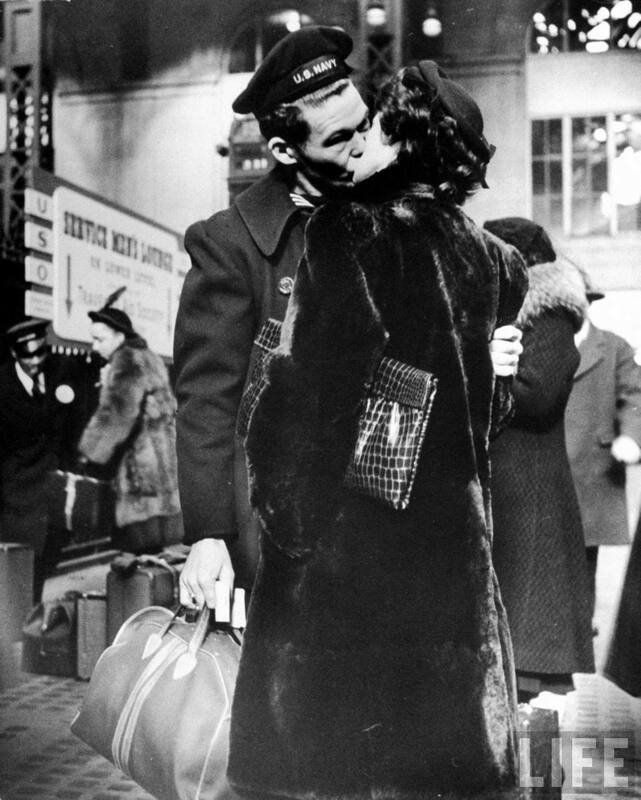 These kisses were meant to last until that happy day of reunion, but for some, they were destined to be a final farewell. 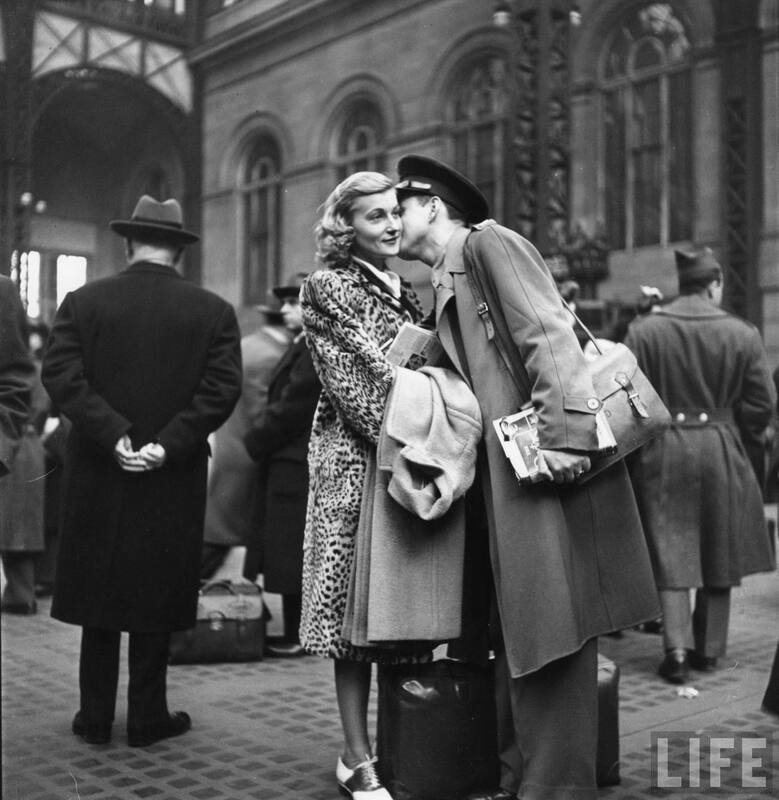 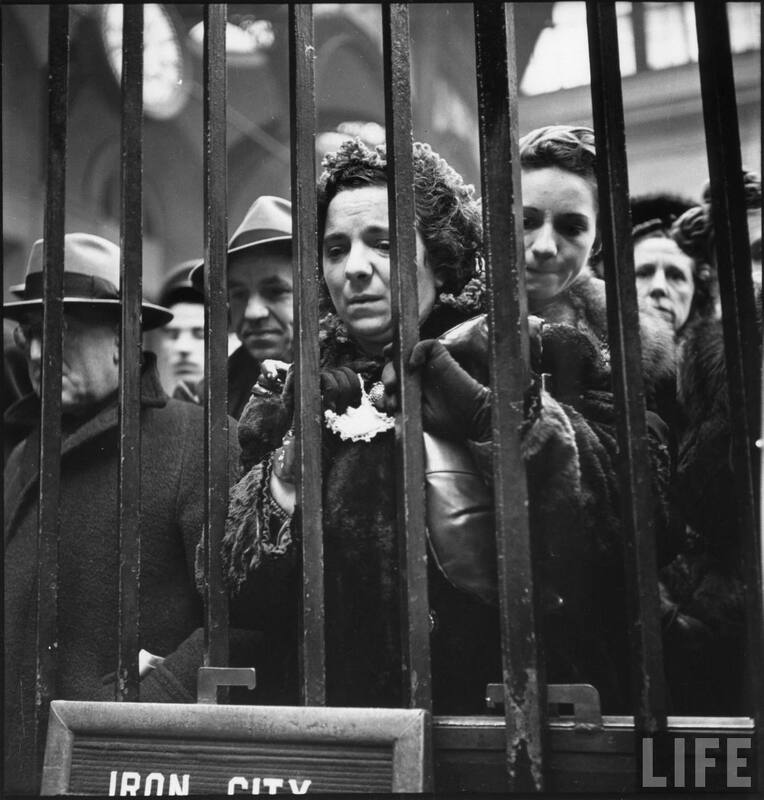 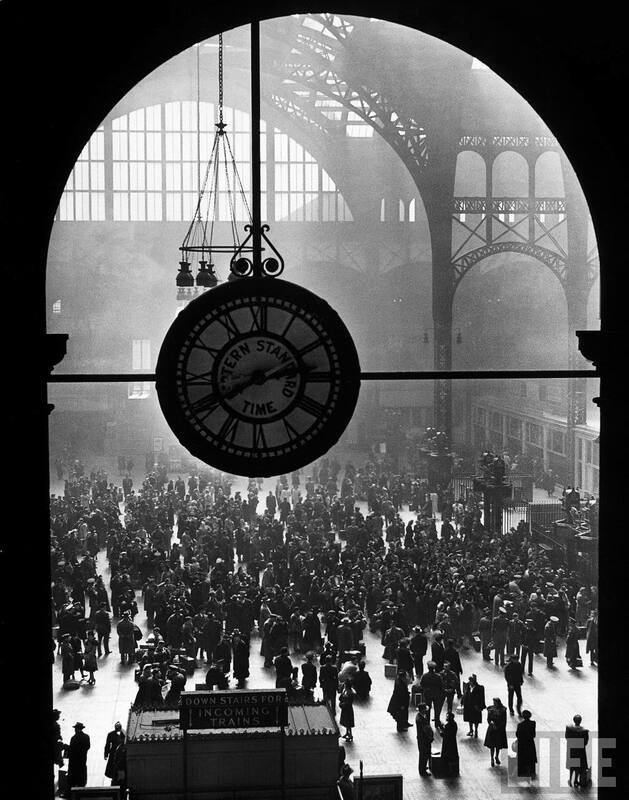 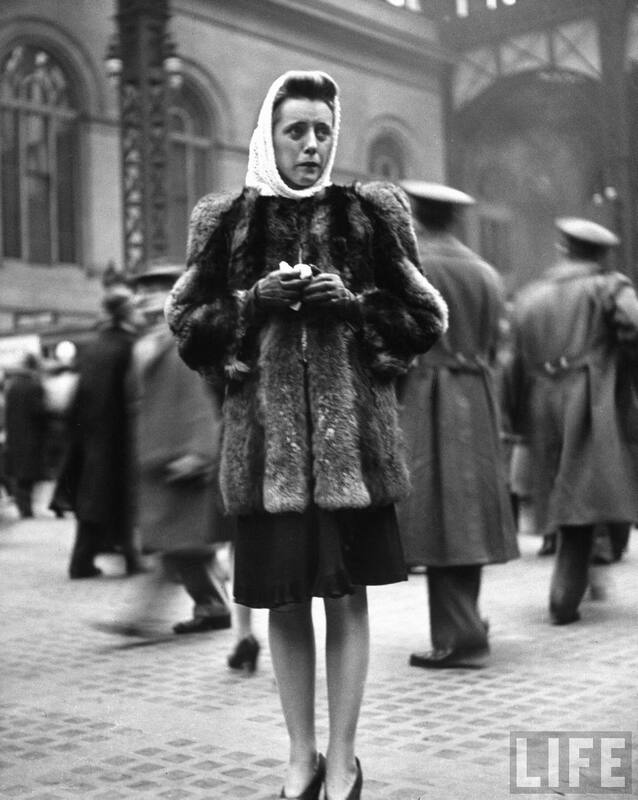 You are currently reading LIFE Archives: Farewell at Penn Station at Quite Continental.